Being president is a great job—if you have a serious shot at winning. 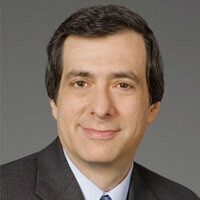 Howard Kurtz on why the ex-governor picked well-paying punditry. I never thought Mike Huckabee would run for president again, largely because he was so open about his doubts. Besides, how likely was it that he would make a move at the end of his low-rated Fox show late on a Saturday night? And put the network in the position of having made an in-kind contribution? And that his political advisers would be clueless that he was about to launch a national campaign? Huckabee seemed to want to keep the guessing game going at least until June, but Fox executives were pressing him to get in or get out, rather than using the cable channel to keep hope alive. The decision was ultimately "a spiritual one," Huckabee told viewers, and after finding "an inexplicable inner peace," he realized: "My heart says no." Like any good politician, he first made the case that he could have been a contender. He was at or near the top of the GOP polls while mere "single-digit" candidates were being "touted." He could have raised the money. He could have won outside the South. But as a follower of Jesus Christ, he said, he decided against it. It was hardly surprising, especially after an odd hour featuring such guests as Mario Lopez and Ted Nugent. (Who declares for president after that?) Here's a guy who ran a shoestring campaign in 2008, managed to win Iowa, and was the last man left standing when John McCain wrapped up the nomination. Not bad for a former Arkansas governor whose previous claim to fame was writing a book on how he lost 100 pounds. But Huckabee didn't want to mount another White House campaign and become a two-time loser, and I'm not sure he was really convinced he could raise enough money to be competitive. He might have given Barack Obama a serious challenge, but first you have to win the nomination. And before that, you have to win the wife primary. Huckabee said his wife was supportive of a campaign, even though they would have been subjected to "brutal and savage personal attacks." But was she enthusiastic? Lots of Republicans are having trouble on that front this season. Haley Barbour's wife helped convince him to stay out, and Mitch Daniels' wife is quite reticent as well, although she hasn't slammed the door. The former Baptist preacher is telegenic, does well in debates and is conservative enough for most party activists without scaring off moderates. But having been through the meat grinder once, he knew what it would take to win and concluded he didn't have the heart for it. Huck's ambivalence was on display when I visited him at the end of 2009 in his Fox News office, where I admired his collection of guitars, including two Fender Stratocasters. If he were to take the plunge, he said, "I'd need to be out courting donors almost nonstop. I really enjoy what I'm doing immensely. I like having a life. There's a certain level of enjoyment in the independence I have. Someone puts a microphone in my face and demands I answer a question, I can say, 'Put it where the sun don't shine.'" Huckabee had never made much money, so the $500,000 salary from Fox, plus radio income and speaking fees, means a lot to him, especially since he is building a big house in Florida. I spoke to him again a couple of months ago during his book tour, and while he seemed to be enjoying the attention of political reporters, there was no sign of the requisite fire in the belly. Huckabee wasn't at campaign fighting weight (he had bulked up again), he admitted he wasn't sure what to do in Afghanistan, and he praised Michelle Obama (over her anti-obesity campaign). You have to be a little crazy to run for president, and he just seemed, well, sane. In fact, he told me, "I'm not a megalomaniac. I don't think I'm the only person who can save America. I wouldn't vote for someone who was that full of themselves." In a weak field, Huckabee would have had a shot. The former Baptist preacher is telegenic, does well in debates and is conservative enough for most party activists without scaring off moderates. But having been through the meat grinder once, he knew what it would take to win and concluded he didn't have the heart for it.